Wednesday 13 June saw me (Laurence Whittle) carry the SixPorts flag from Kent to London’s Excel centre. The event? The AI Summit. 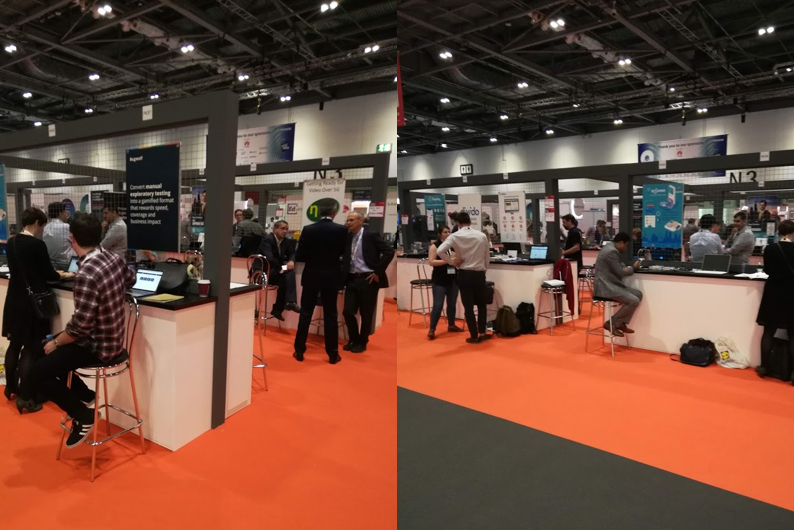 Part of London’s Tech Week; billed as a weeklong festival of tech and innovation companies from Global to Start-Up showcasing their products and services to roughly 5000 attendees. The marketing talk aside the event was impressive, and the numbers really do not paint a picture here. At every turn there was a business explaining how they’ve used technology to optimise, reduce, speed up, innovate and automate. 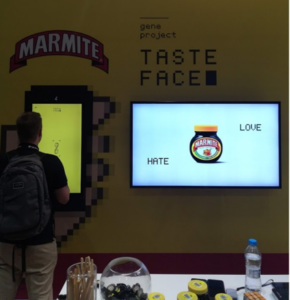 The stand I love to hate, eat a piece of Marmite in front of a camera, and the computer scans your face to see if you love or hate Marmite. I’m not fond of the stuff but gritted my teeth enough to convince the computer that I was a lover. Practicalities aside I found this to be a really innovative way to promote a product, especially as it got me to eat something I already knew I hated. One thing that leapt out at me was that several solutions were being billed as AI but were, in fact, automation solutions. Still very impressive but AI, for me, is the union of machine learning and automation so that not only does the computer carry out tasks automatically, it learns, adapts and improves depending on the inputs, interactions and usage (the degree of which a computer can ‘think’ determines its level of artificial intelligence). 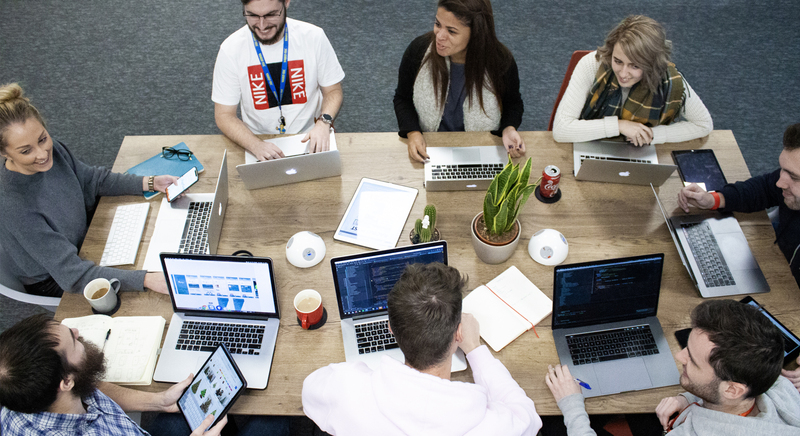 Right or wrong, what is apparent is that we are using technology to work smarter and make us more efficient and ironically effective at the human element of business. There was more than AI at the event. 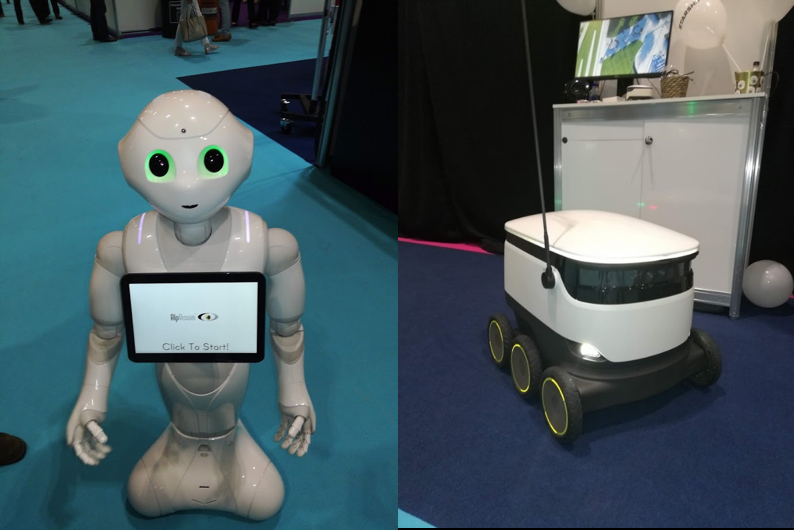 Being attached to The London Tech Week there was obviously more than just the AI Summit. AR and VR stands were conveniently placed near the AI summit. 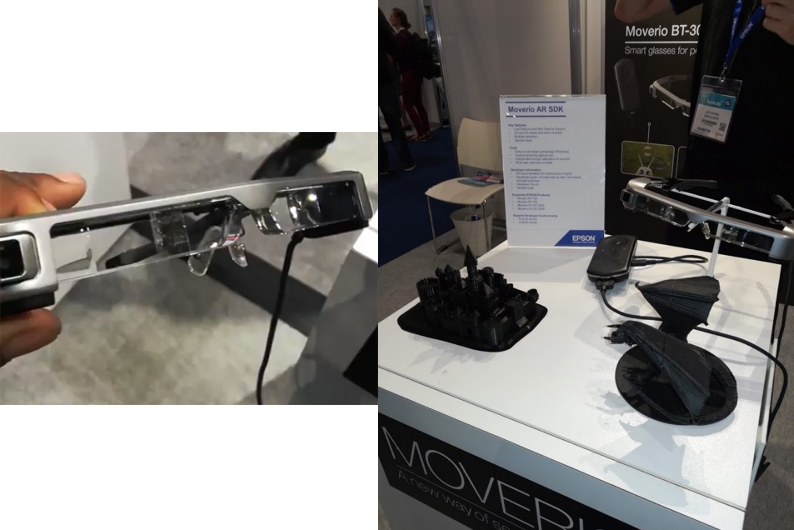 AR glasses were the order of the day and were used to demonstrate this exciting new tech. Quite literally walk up to a relatively bland stand, put the glasses on and suddenly the black and white posters and banners come alive, leaping out with 3D words, additional information, moving images. One exceptional AR demo where a phone was hovered over a relatively blank business card and what leapt out was the person’s name, job title, email and telephone number. This was used again on predesigned company logos and even a wedding cake where, with AR, the bride and groom atop the cake began to dance. VR wasn’t far behind and was being used to demonstrate how the technology can be used to teach and train in a safe environment. One stand placing the user in a hospital and the other a fire emergency and crash victims assessing the persons’ reactions and advising them how to act. What was special at the event was the space for start-ups and smaller organisations who may not have the budget for or simply didn’t want to fund a full-sized stand. Often armed with just a laptop and business cards, the buzz and discussions about innovations and disruptive tech was motivating. What is certain is that I’ll be back next year, the digital landscape is growing and I think the way we do business, the way we sell is evolving and it’s a space SixPorts will continue to occupy.